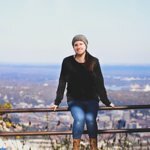 World Traveler, Photographer, Foodie, Wanderer, Girlfriend, Dog Mom. 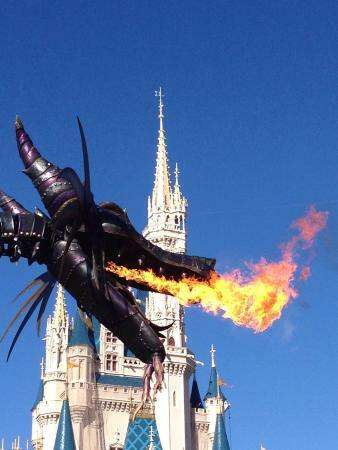 Want to plan the Ultimate Walt Disney World Vacation? Whether you're young or young at heart, Disney has loads of exciting things to do for people of all ages. So what are you waiting for?! Plan the best vacation, and get the most for your money possible with these helpful planning tips from a lifelong Disney going expert. Read the tips below to start with the basic vacation planning must do's! 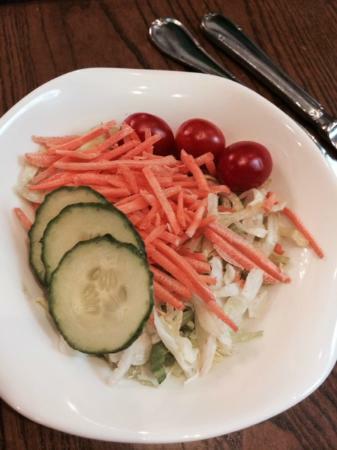 Don't miss out on the Dining Plan! 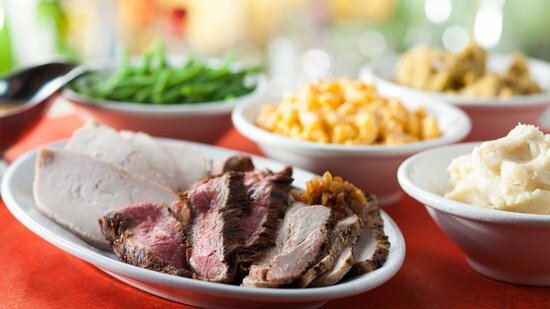 Your vacation package isn't complete without the Disney Dining Plan. The basic package is the most cost efficient and will save you the most money. With the Disney Dining Plan, each member of your party is awarded 1 snack, 1 "Quick Service" meal, and 1 "Sit Down" meal per day. The quick service meal is any of the walk up, counter service locations throughout Disney World, often Lunch type foods, and a sit down meal is your more typical restaurant experience. Nearly all of the dining locations in Disney World participate in the Dining Plan. For a full list of locations, visit the Dining tab in the Disney World website. Although you may think to yourself, wow, this dining plan seems expensive, you literally save hundreds of dollars throughout your vacation. The most I've personally saved was nearly $600. For optimal use of your time in Disney, stay on property. They offer free transportation to and from the airport, as well as free transportation right from your hotel to all the parks! Trying not to break the bank? Stay at a Value Resort. Disney classifies their resorts by Deluxe, Moderate, and Value resorts. 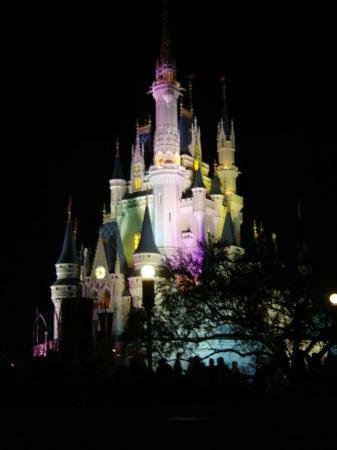 All properties on Disney are highly maintained and offer the best quality possible. 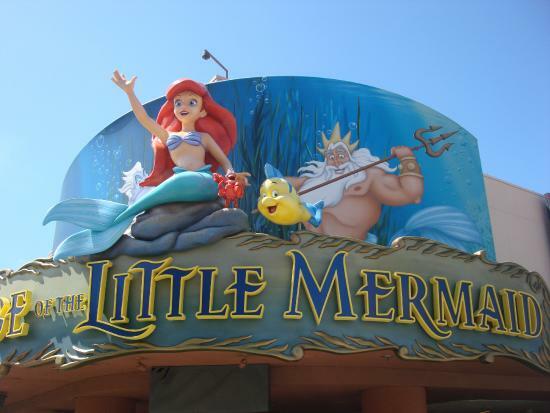 Two of the best value resorts are Pop Century, and the Art Of Animation Resort. When planning your vacation always book directly through Disney, their website is very handy and very simple to use. 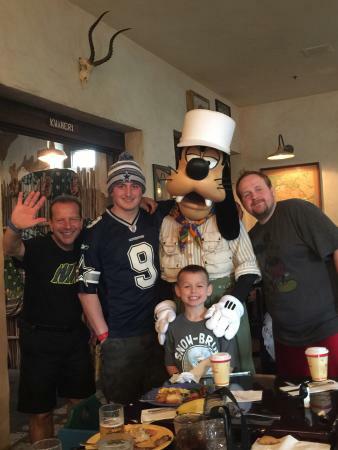 By booking through Disney, you can get everything in a package deal, including hotel, food, park tickets etc. Saving you the most money! Extra Magic Hours. Before you plan your itinerary check online to see which parks have Extra Magic Hours during your vacation. If you're staying on Disney property, you're allowed to either enter the parks early, or stay late depending on the extra magic hours that day. Each day of the week a different park will either open early or stay open late, to make the most of your time at Disney. 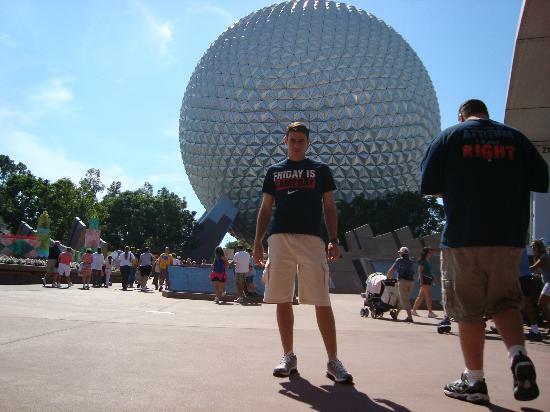 Best time to visit Disney World? The crowds are usually at their lowest around late September / Early October. FastPass+ Selections. When you book your Walt Disney World Vacation and recieve your Magic Bands, you're able to make your FastPass+ selections from home before you leave for your vacation. FastPass+ Selections allow you to reserve a spot in line at a given time for your favorite, and most popular attractions, to avoid long lines! You can make up to 3 Fastpass+ selections per day, and can edit the times, etc. from an app on your phone. Fastpass+ saves you tons of time in line and makes it easier to get around and see everything you want to see in the parks! Magic Bands. They are indeed Magic on your wrist! When you book through Disney, you'll order your Magic bands which literally puts the whole world at your hands. Your Magic Bands are personalized bracelets that you'll use on your vacation to do everything from Open your Hotel Room, make purchases, reserve dining, and use Fastpass+. That's a lot of information to keep on one bracelet right? Well luckily, when your Magic Bands are activated when you check into your hotel, they scan your finger print, and link it to your given Magic Band, so only you and you alone can use the Band. When making fast pass reservations, make the most of your time by reserving the most popular rides, these include the three "Mountain" attractions especially. Splash Mountain, Big Thunder Mountain, and Space Mountain. My favorite hidden gem in the Magic Kingdom is "Dole Whip" nestled in the middle of Adventure you'll find "Aloha Isle" that serves up the coolest most delicious cup of Pineapple goodness you'll ever have. Seriously. 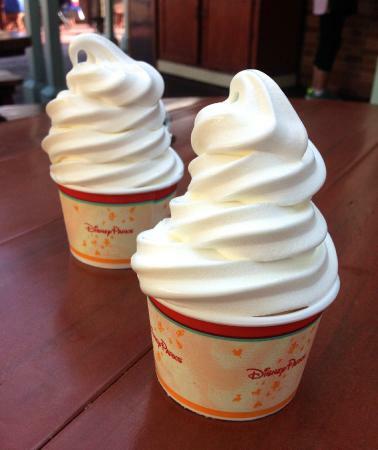 Try a Dole Whip Float. Best Restaurant in the Magic Kingdom? Be Our Guest. 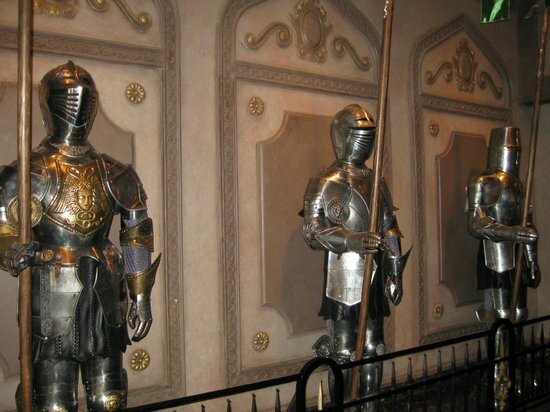 Not only is the food great but the truly enchanting castle is something not to be missed. Another one of my favorite hidden gems is LeFou's Brew from Gaston's Tavern in Fantasyland. An Apple Cidery slushy drink topped with Passion Fruit - Marshmallow foam. It's perfect on a hot Florida afternoon. When you get to the park, check the map for daily Parade and Firework times. During certain Holidays, like Halloween and Christmas, they host special "parties" for an addition cost. Yes, it's worth it. 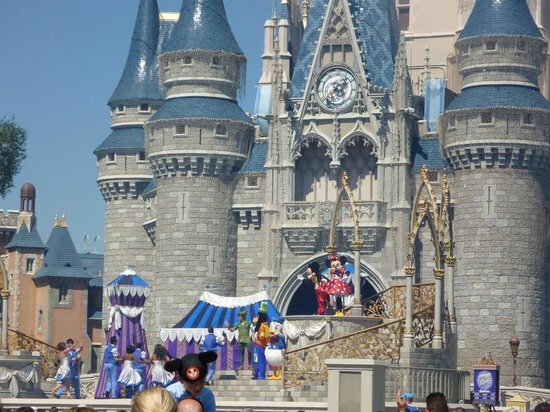 For example, during Mickey's Not So Scary Halloween Party, only those who purchased the extra tickets are allowed in the park, HIGHLY decreasing crowd levels. 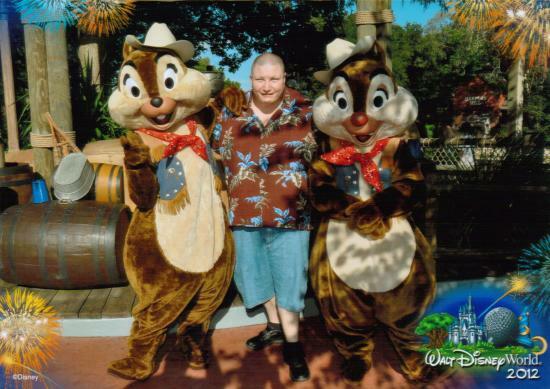 You get to meet rare characters, as well as see special parades, firework shows, and other fun activities as well. Best time of the year to visit The Magic Kingdom? I've been to Disney World at least once during every month of the year, and crowd levels are always at their lowest in late September / early October. 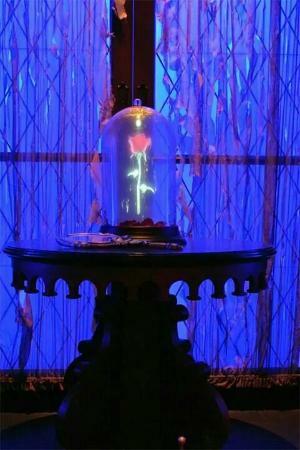 Be Our Guest is by far the most magical, and enchanting dining experience you could have in The Magic Kingdom. Traveling deep into the Beast's Castle from Disney's Beauty And The Beast, you're immersed in a world of delicious food, and beautiful scenery. The food here is a French / American fusion and doesn't disappoint. Be Our Guest is included in the Dining Plan and it's best to come at lunch time, because reservations are booked very quickly. It's definitely a must see, and while you're here, as the song suggests, "Try the gray stuff, it's delicious!" Indeed it is. Make reservations if at all possible. As this is the newest and most popular restaurant in The Magic Kingdom, and probably all of Disney World, it's not easy to get a seat. Be Our Guest is open for Lunch and Dinner. Other than Be Our Guest, my favorite restaurant in The Magic Kingdom would have to be The Liberty Tree Tavern. Located in Liberty Square, it takes you right back into colonial America, in a quaint...not so little cottage. What I like about Liberty Tree is the fact that it's an all you can eat buffet right at your table. They bring out several courses, and all kinds of delicious food. 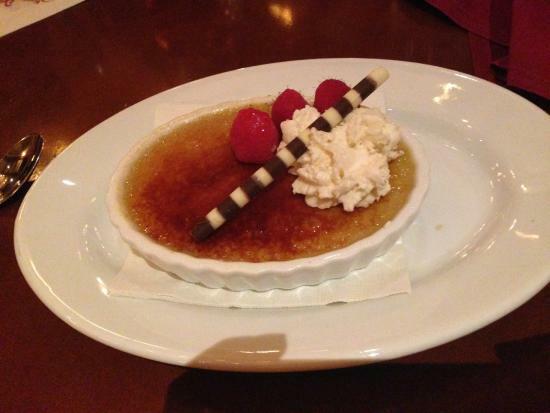 It's like Thanksgiving any time of the year with their Turkey, sides, and dessert dishes they serve. I highly recommend making reservations in advance, as they get quite busy. The biscuits here are more than delicious. 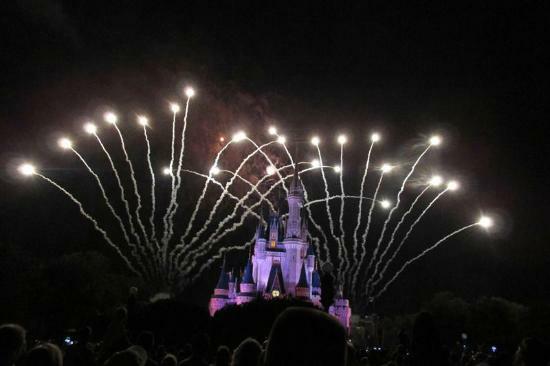 Wishes is a must see and is preformed nightly in The Magic Kingdom. It's their nighttime spectacular and truly is magic. Beautiful fireworks are set to music and audio from the main man himself, Giminy Cricket. See Tinker Bell soar over Mainstreet, and watch as the fireworks light up the sky, and astounding images are projected onto Cinderella's Castle. It's a beautiful thing to watch and is perfect for people of all ages. The best spot to view Wishes? Right at the end of mainstreet, there's a corner restaurant called "Casey's Corner" while most people crowd around the castle, you can have a seat in Casey's patio area with a perfect view of the castle in all it's glory. You might as well have one of their delicious hot dogs while you're at it. 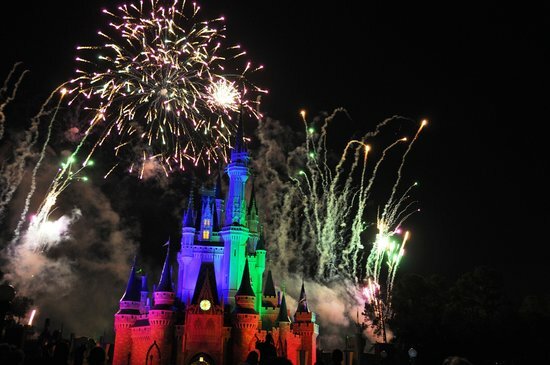 Wishes is performed year round, however, come Holiday seasons, they have special Wishes Spectaculars for everyone to enjoy. Which three attractions to get fast passes for? 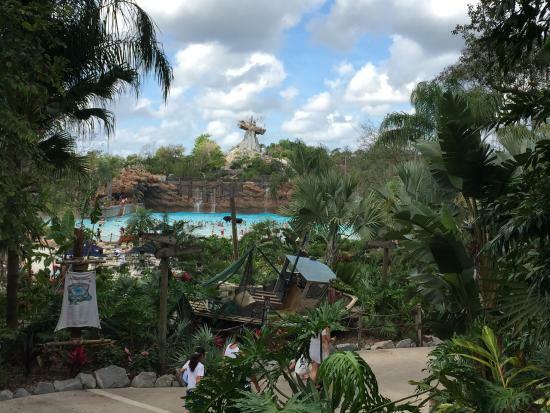 Expedition Everest, Kali River Rapids, and Kilimanjaro Safaris. It's best to get a fastpass for Kilimanjaro Safaris first thing in the morning. At this time of day the animals are most active and roaming about. The Tree Of Life is all hand carved by artists. It features hundreds of animals alive and extinct. You can get up close to the Tree Of Life by getting in line for "It's Tough To Be A Bug" which is a 3d show located within the tree itself. 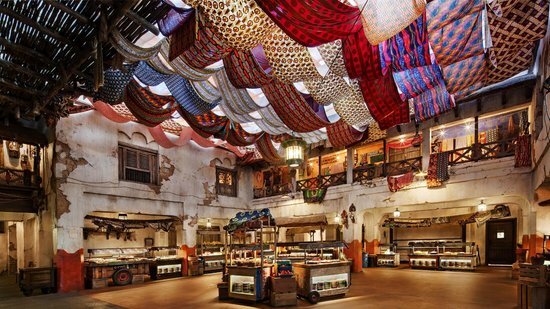 Some of the best shops are in Animal Kingdom. Shopping here is my favorite. They have all kinds of awesome trinkets and souvenirs to bring home. Want a quick adult friendly drink? Stop at the Dawa Bar in Africa. They have an assortment of alcoholic beverages to suit your taste. Probably the best, and definitely the most unique restaurant in Animal Kingdom is The Tusker House. A Charter Dining Buffet featuring Traditional African cuisine, as well as some more familiar favorites. They have a huge variety of a lot of foods you've probably never tried before, let alone heard of. And best of all its a Character Dining experience. 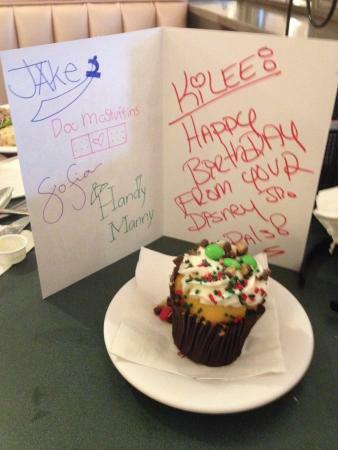 Meet Donald, Goofy, Mickey, Minnie, and Daisy while you enjoy your meal. I highly recommend making reservations in advance, as they book up quickly. 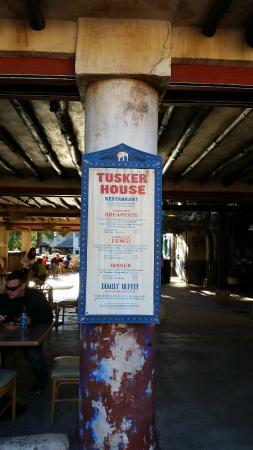 The Tusker House is open for Breakfast, Lunch, and Dinner. 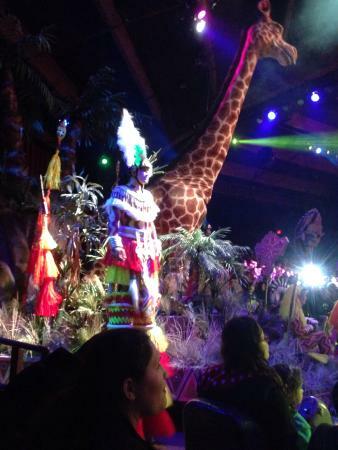 Make a Reservation and get your picture taken with Donald in his Safari gear before heading into the restaurant's back entrance. Seriously consider planning your trip to attend the Food And Wine Festival, it's an awesome experience. 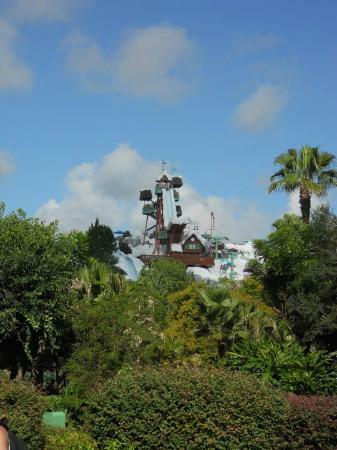 Top attractions to make sure you get a fastpass for? 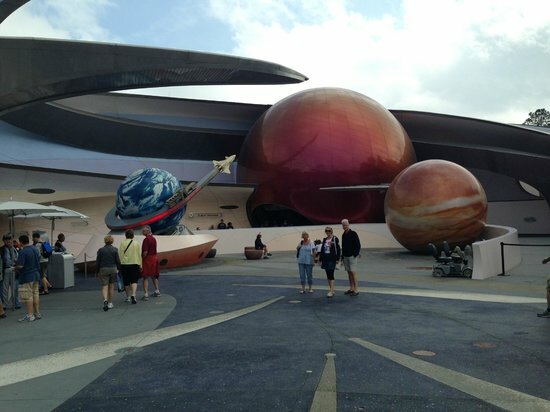 Soarin', Test Track, and Mission Space. Head into the Land Pavilion and find one of Epcot's best hidden gems. Hop on a little boat and get a tour through Epcot's green houses, and see where they grow the very food they use in their restaurants. 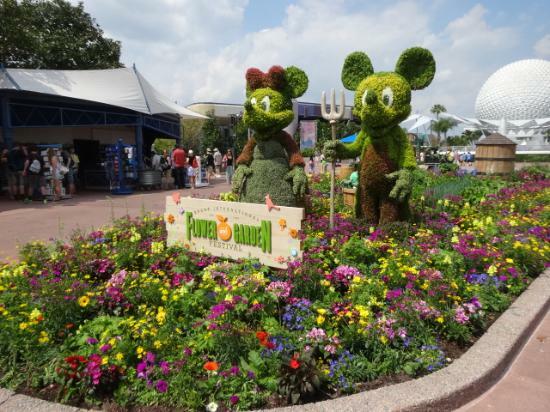 You might even get to see a few Veggies shaped like the big mouse himself! 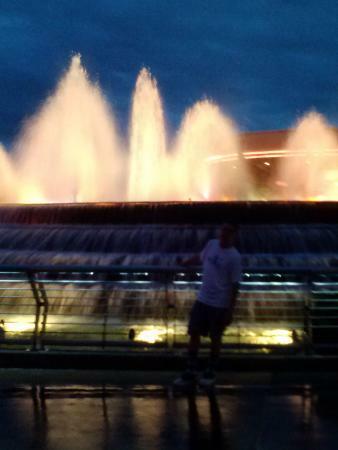 Really explore the World Showcase. You'll delve into the rich cultures of all the lands and discover hidden gems all over the place. The Tequila Bar inside the Mexico Pavilion has a huge selection of Tequila's as well as mixed drinks, it's kind of hidden off to the side, so go ahead and take a look! The World Showcase opens later than Epcot itself, so take your time exploring Future World, and ride the most popular attractions early in the morning, then spend your afternoon in The World Showcase. As I stated in the Epcot section of the guide, the World Showcase is connected to Future World and is made up of countries including Canada, England, France, Japan, China, Germany, The United States, Norway, Africa, , Italy, Morocco, and Mexico. Each of the countries has their own signature dining experiences. If you plan to dine at any of these locations I highly suggest making reservations as they book up quickly. 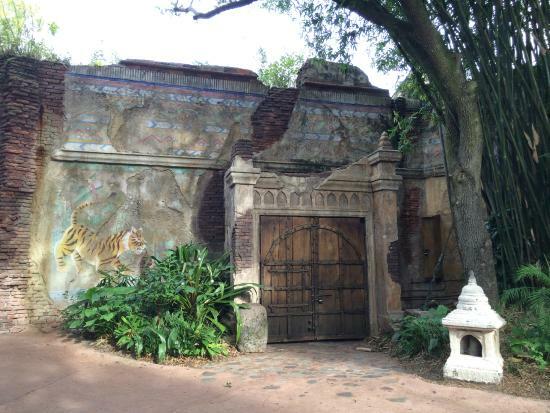 Some of my favorite places to explore in The World Showcase include Japan, China, Mexico, and Morocco. In my opinion Morocco is the most culturally and architecturally accurate. Disney asked the King of Morocco to send in his personal architects to construct the buildings in the showcase, and they turned out beautifully. You feel as though you're deep in a Moroccan Marketplace, with all the sights and sounds, and smells. It's quite the experience. Although I personally love the Morocco pavilion, all of the World Showcase is beautiful, and vibrant. All worth seeing. Meet your favorite characters in their home countries! Meet Alice in England, Belle in France, Ana and Else in Norway, and even Donald of the Three Caballeros in Mexico! Best Restaurant? Le Celier Steak House in Canada. 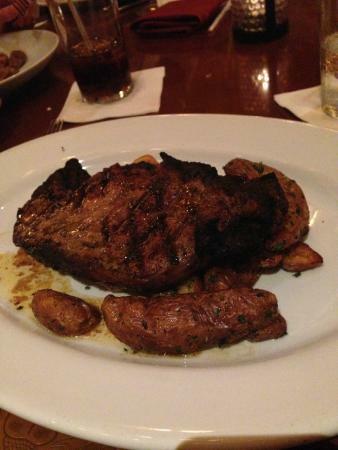 In my opinion, probably one of the best restaurants in the World Showcase, Le Cellier is a top of the line steak house with delicious food and an awesome atmosphere. Nestled in an underground cavern near the Canada Pavilion, it's a unique dining experience that, best of all, is part of the dining plan! 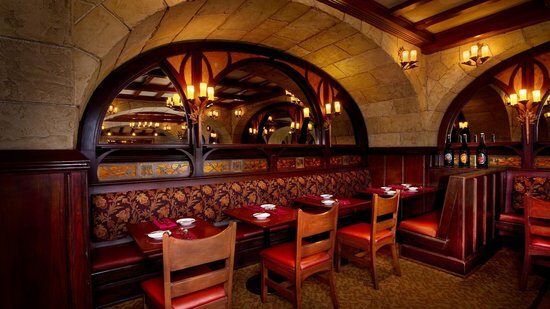 Reservations are highly recommended, as Le Cellier is one of the most popular dining locations in the World Showcase. The desserts here are really unique, and super yummy. This. 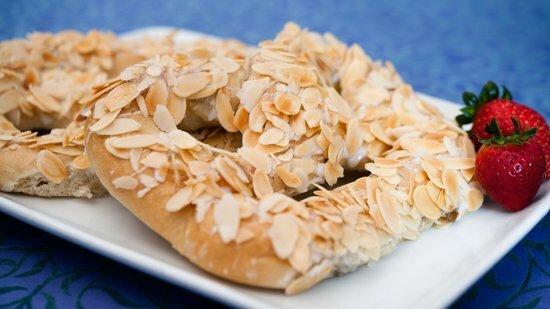 This is one of Epcots hidden gems, tucked away near the Norwar Pavilion you'll find Kringla Bakeri og Kafe. They have tons and tons of goodies here, most of which can be redeemed as snacks on the dining plan. All of the desserts and snacks I've tried here are delicious, but the "School Bread" is by far the most delicious thing I've had there. 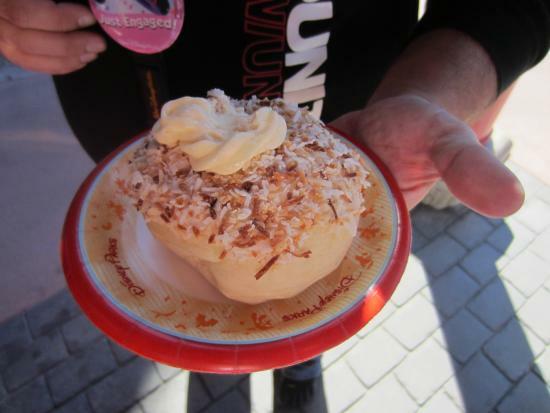 It's like a giant, over stuffed custard donut covered in roasted coconut. Oh my, is it every delicious. Not only is the School Bread delicious, but they also serve Cream Puffs and other favorites from the great country of Norway. 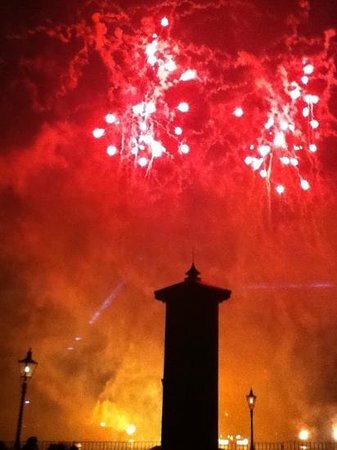 By far the most incredible fireworks display in all of Disney World, Illuminations is a must do. 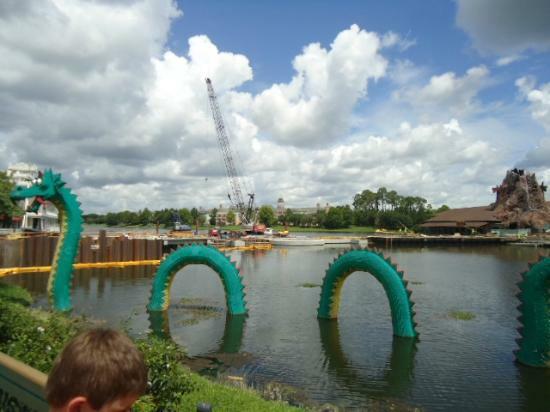 It can be seen from all around the world showcase since it takes place in the middle of the lagoon. A giant globe made up of hundreds of mini screens is pulled out into the middle of the water on a giant float, loaded with beautiful fireworks. The globe itself is incredible, then mixed with audio, music, fountains and fireworks, it's quite an incredible experience! 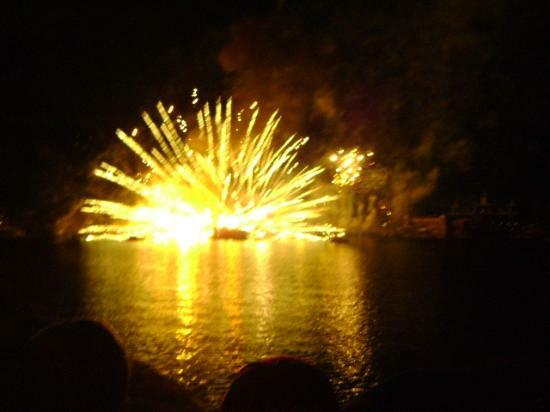 Illuminations is performed nightly at Epcot, and is the perfect way to end your day at the park. 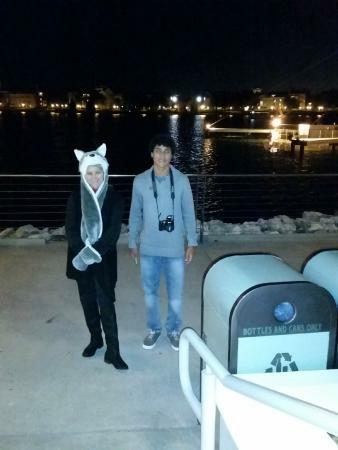 Best place to sit for Illuminations? Near the Canada pavilion against the fence in front of the lagoon. There's room to sit on the ground and get comfy while you wait for the show. Japan is also a good spot if there's no room left in Canada. Recently Epcot has offered an exclusive Dessert and Champagne party with reserved seating for Illuminations. Tickets are available at an extra cost but are more than worth it. It's offered select nights, and includes multiple tables of fruit, desserts, freshly cooked donuts, ice cream, and of course, lots and lots of Champagne. You get a front and center view of Illuminations, it's my favorite way to see the show. It's quite unlike anything else. Find a spot early! Illuminations is an incredibly popular show and people start finding spots to sit quite a while ahead of showtime. Attractions to get fastpasses for? 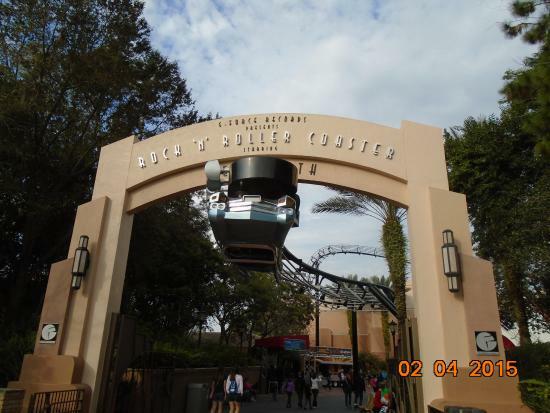 Aerosmith's Rockin' Rollercoaster, Tower Of Terror, and Toy Story Mania, as these are the most popular attractions. Don't miss out on the Art Of Animation building. Here's a great spot to meet multiple characters! 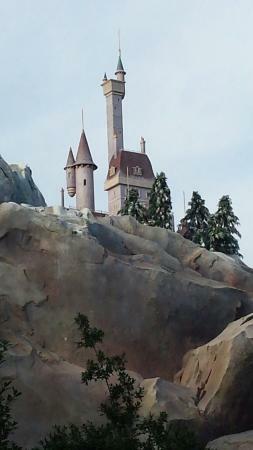 And a lesser known spot, meaning lower wait times, especially to meet Sorcerer Mickey! Wreck It Ralph and Vanellope, as well as the Incredibles are often seen here as well. During Christmas Season, Hollywood Studios is home to the Osbourne Family Light Spectacular. Which is an incredible display of tons of christmas lights down the streets that dance to Christmas classics. They even make it "snow". It's a one of a kind experience and definitely something worth seeing! Looking for a place to eat? 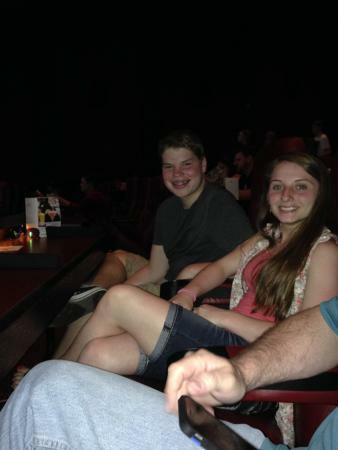 Go to one of the restaurants that offer reserved seating for Fantasmic! 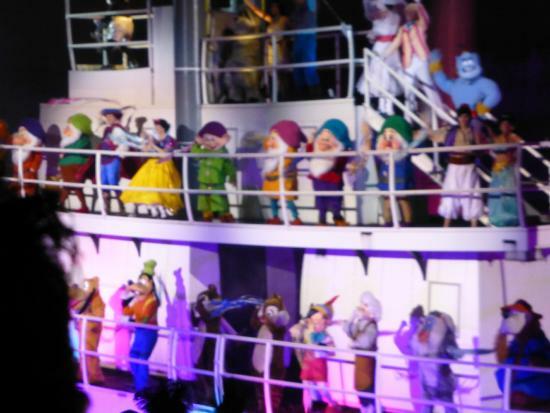 At no additional cost, you can get reserve seating for Fantasmic! if you eat at The Brown Derby, Hollywood and Vine, 50's Prime Time Cafe, or Mama Melrose's. 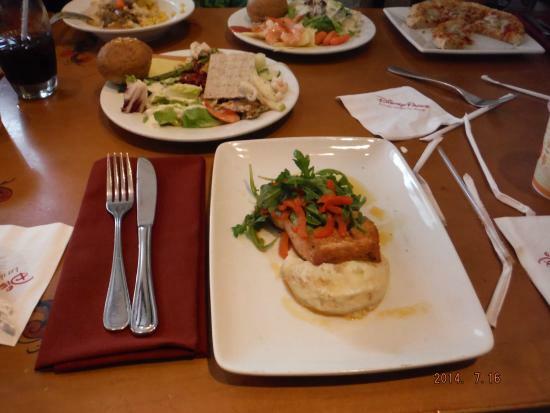 In my opinion, the best buffet in all of Disney World, Hollywood and Vine offers a wide selection of American favorites, as well as some more unfamiliar choices. They also have quite a selection of swanky looking desserts. 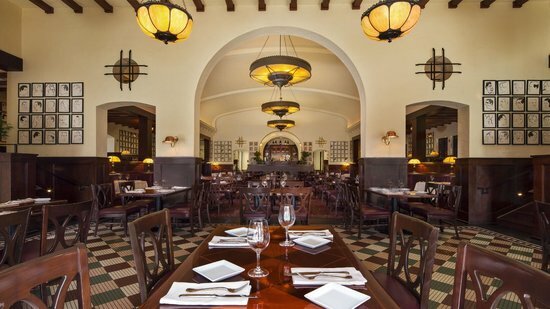 Hollywood and vine is included in the dining plan, and is open for breakfast, lunch and dinner. I highly recommend making a reservation, as they're usually quite busy. 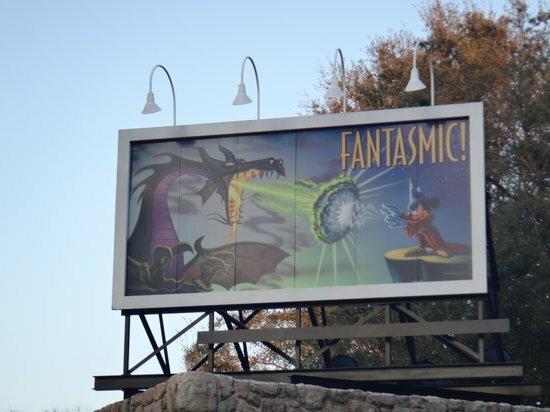 Hollywood and Vine offers the Fantasmic! package at no additional cost with reservations! 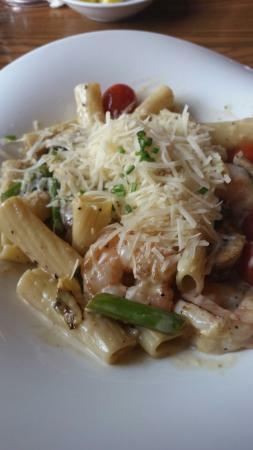 Created after the original Brown Derby restaurant in Hollywood California, this place is just as tasty. 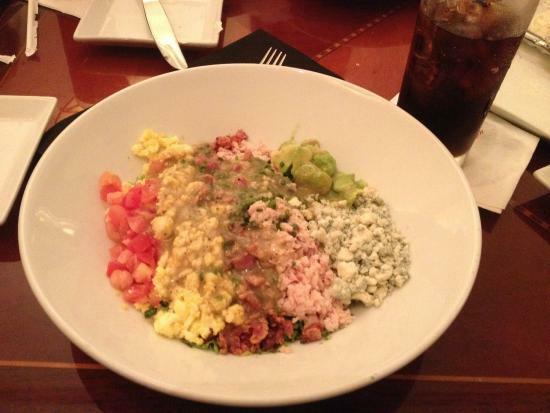 Known for their Cobb Salad (which is out of this world good), their dishes are artfully decorated and taste just as good as they look. And best of all, it's part of the dining plan. 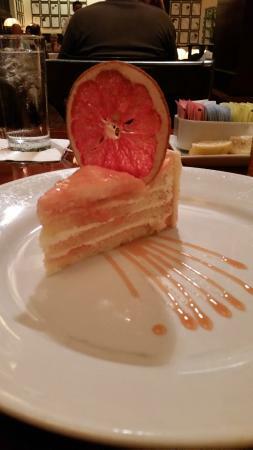 Try the Grapefruit Cake! It's delicious. By far my favorite show in all of Disney World, Fantasmic! is a must see. Nestled far away from the other attractions, you take a long walk way up to the theater where Fantasmic! is performed. Bleacher style seating surrounds a large mountain range in the middle of a small lagoon. Fantasmic! has tons of characters in the show, as well as amazing visual effects projected into fine fountain mists in the middle of the lagoon. Follow Mickey on an adventure to defeat evil and save imagination! 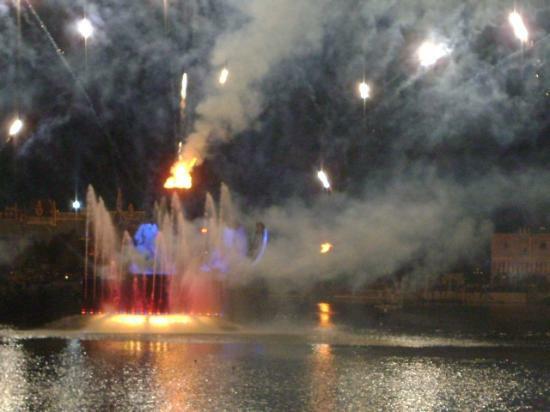 With impressive fireworks, pyro effects, fountains, floats, vibrant light effects and even a fire breathing dragon, Fantasmic! Is not to be missed. 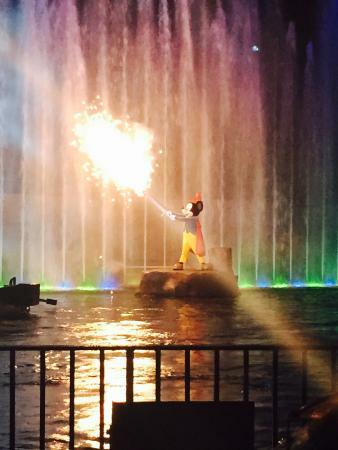 You must arrive early for Fantasmic! even if you have reserved seating, because seats fill up FAST. And I mean fast. If you're sitting within the first 5 rows or so, you may get wet! Looking for a nice way to unwind after a long day at the parks? Downtown Disney is the place to be. With tons of shopping, restaurants and nightlife, Downtown Disney is great for all ages, but especially nice for the grown ups. 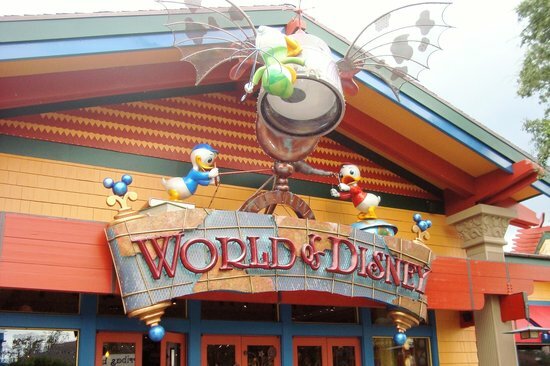 Downtown Disney has plenty of Disney themed stores / restaurants, but also feature some other retail and dining favorites, such as Planet Hollywood, Wet Seal, Starbucks, Rainforest Cafe, Harley Davidson, AMC theaters, Lego Land, etc. On most nights, most of Downtown Disney is open until 2am, which is great for the nights you're not quite ready to turn in when the parks close. 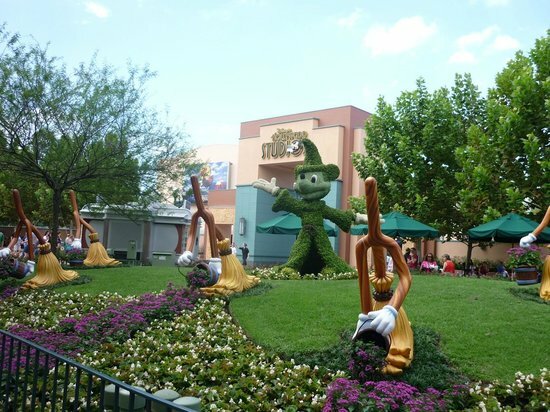 Downtown Disney is often open late, for the nights you're not quite ready for bed yet! Downtown Disney is great for all ages, but especially nice for the grown ups who are looking for a night out on the town. With plenty of restaurants and bars open late, Downtown Disney is the place to be. Looking for something for the kids? Head to Disney Quest. 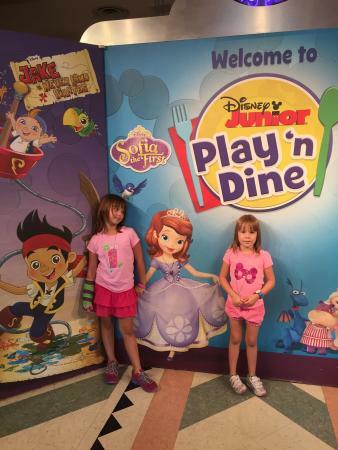 A multi-level arcade and simulation center, Disney Quest is fun for all ages. Ride a virtual roller coaster, or play some of your favorite games! Once Upon A Toy is a giant toy store for kids, and those of us who are still kids at heart, no matter what your age, you should check it out and be surrounded by toys, books, and candy from all of your Disney favorites. Want a unique souvenir? They have a shop where you can make personalized t-shirts for your whole Disney Vacation group! 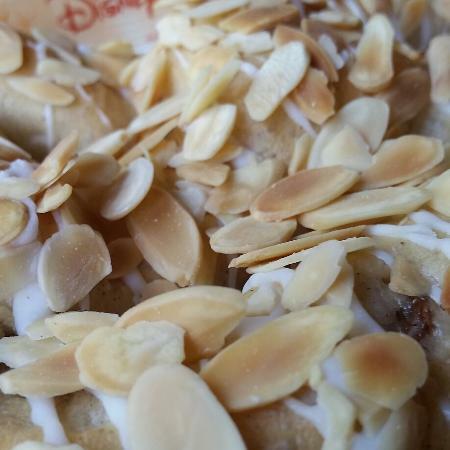 Some of my top picks for restaurants in Downtown Disney? 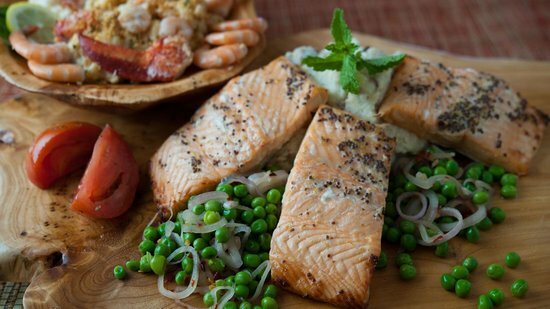 Fulton's Crab House, Earl of Sandwich, T-Rex, and Raglan Road, all of which are included in the Dining Plan. 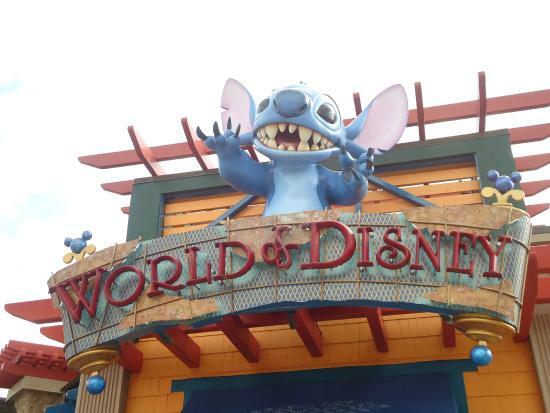 The largest Disney store in all of Disney World is the World Of Disney. When you walk in they offer you a map the store is so large. 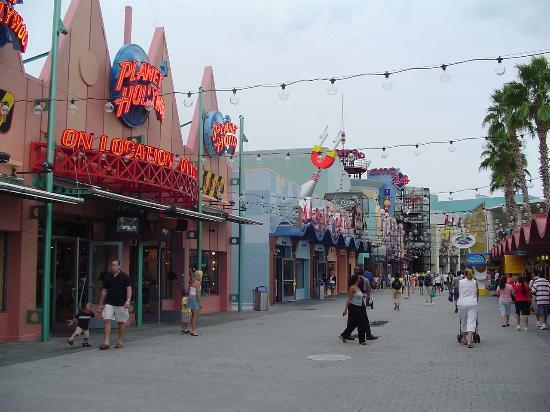 Located right in the heart of Downtown Disney it has everything you could ever hope to find for souvenirs. They have everything here. Men's Clothing, Women's Clothing, Children's Clothing, Toys, Silverware, Collectibles, Jewelry, Luggage, Purses, Stuffed Animals, Princess Apparel, China, Picture Frames, Candy, Mickey Mouse shaped Pasta. Everything! Definitely a must see, this place is huge and awesome. Take time to look around in here, they have all kinds of unique souvenirs you can't find anywhere else, and they also have a HUGE selection of Mickey Ears / hats. One of the two water parks in Disney World, Typhoon Lagoon is themed like a tropical paradise that looks like, well, it went through a hurricane. Soak Up the sun and enjoy a variety of water slides, wave pools, and other aquatic attractions until your heart's content! One of my favorite things here is the Scuba Diving. Grab some scuba gear and hop into a giant salt water pool filled with tropical fish of all kinds. Definitely a unique experience at no extra cost. Although there are no sit down restaurants at Typhoon Lagoon, they have several quick service stands that accept the meal plan. They also have lockers available to store your belongings while you're out having fun! Like Tropical Drinks? There's stands ALL OVER serving all kinds of yummy frozen treats. Typhoon Lagoon is not open as late as the other parks, so keep that in mind when planning your day. It's best to go to the water parks early before the crowds start to pile up. If you're planning on going on the larger attractions, and you're female, keep in mind one piece suits are the safest option, however, if you're planning on wearing a Bikini, they have plenty of shops that sell tank tops / bathing suit covers to wear while you go on the slides. 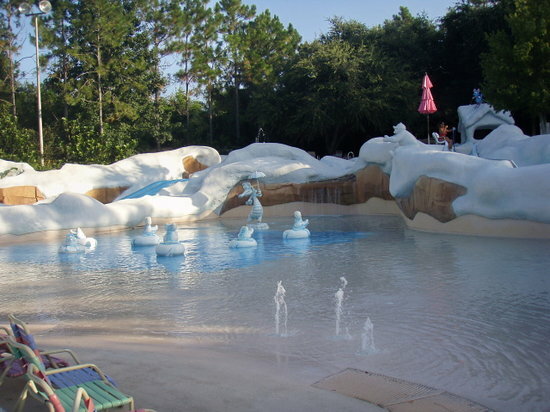 The "story" behind Blizzard beach is that there was a freak snow storm on a beautiful florida beach, and a crazy gator decided to turn it into a ski resort, and well, being Florida, the weather warmed up and his brand new resort starts to melt! 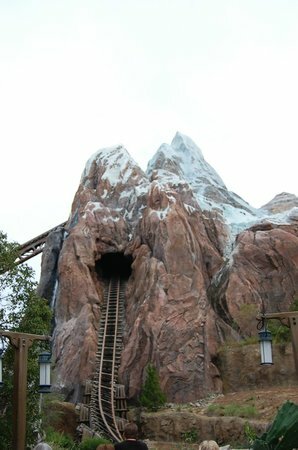 Blizzard Beach has attractions for all ages but what it's best known for is the giant, nearly vertical, completely outrageous drop known as Summit Plummit nestled atop Mount Gushmore. Take an authentic ski lift up the mountain if you dare and fly down the giant ski slope for a thrilling trip indeed. Other than Summit Plummit, they also have several other slides, including a family style tube slope seating up to six people. 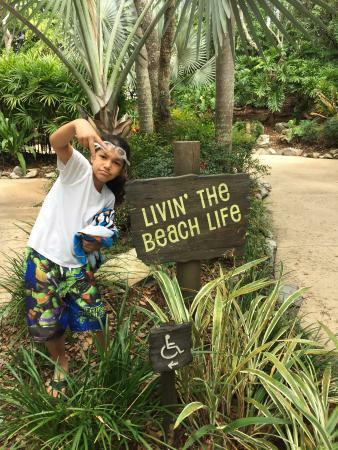 Take a trip to Blizzard beach to enjoy a day of fun in the sun. Blizzard Beach is not open as late at the other parks, so keep that in mind when planning your day. Although there are no sit down restaurants in Blizzard Beach, they have several Quick Service Locations where you can use the dining plan to purchase lunch type foods. Want to relax? Take a trip down the mile-round Lazy River on your very own tube around the whole water park. It's best to wear a one piece bathing suit if you're female and plan of ridding the larger attractions, especially Summit Plummit. If you brought a two piece, no worries, Blizzard Beach has stands that sell Tank Tops and Suit covers to make sure all your suit...stays in place. Walking around Blizzard Beach you'll find a donut stand, that makes hot a fresh little donuts that come with either Chocolate, or Raspberry sauce. These are seriously some of the most delicious things I've ever eaten anywhere. You must try them, they're so good.